Government: Town manager, Town meeting, 5 member board of selectmen. Salem is the "gateway" to New Hampshire with an excellent location just over the Massachusetts border. 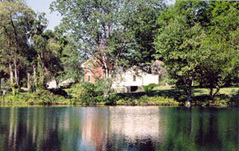 Salem homes include everything from condos to elegant Southern NH waterfront homes on Canobie Lake and Arlington Pond. This community of almost 30,000 people has both suburban and more rural neighborhoods. Excellent access to Interstate 93 make for easy commuting to Boston or Route 128. Salem has the advantage of being an established community with its major growth phase over and infrastructure and schools already in place. This combined with a large commercial tax base means taxes are stable and among the lowest in the area. Salem prides itself on community spirit and offers a wide variety of activities for all ages. The Field of Dreams park features play area, picnic tables, forest walking trails and a summer concert series and stage performances. Route 28 is known as a shopper's paradise. Along this roadway you can find almost every national chain including, Home Depot, K-Mart, Wal-Mart, Kohls, Best Buy and Target. Among the chain stores are a number of specialty shops and restaurants. Places you'll want to visit include Ford Flowers and Shyer's Lobster Pound where the colossal shrimp are the finest that can be found anywhere. The Rockingham Mall, is a two story shopping emporium featuring Macy's, Lord & Taylor, J.C. Penny and Sears plus specilaty shops such as Chicos and Coach. Salem is known for its excellent school system. There are five elementary schools, Woodbury Middle School and Salem High School. Salem High School is home to the Blue Devils and offers a wide range of courses which can be found in the student handbook. Many of the schools have undergone a multi-million dollar improvement program. If you're ready to find out more about Salem NH feel free to ask a question. We're here to help you find a home. North and West Salem have a more rural flavor with newer neighborhoods and larger lots. Canobie Lake, Arlington Pond and Milville Lake offer the opportunity for waterfront living. There are a wide variety of housing styles in both established and new neighborhoods. Overall, Salem offers a abundance of attributes that make it a special place to call home.